Score Sheets are available to Download from this web site. The Association was formed in 1972 and is affiliated to the Wiltshire County B.A. 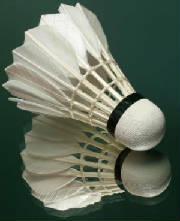 and Badminton England. At the present time we have 10 adult clubs providing 17 combination teams of 3 men and 3 ladies playing in 3 divisions, 12 doubles teams of 4 players in two divisions, also 1 division of 3 Ladies teams of 4 players. The association also has 2 junior divisions, 1 at under 18 and 1 at under 14.